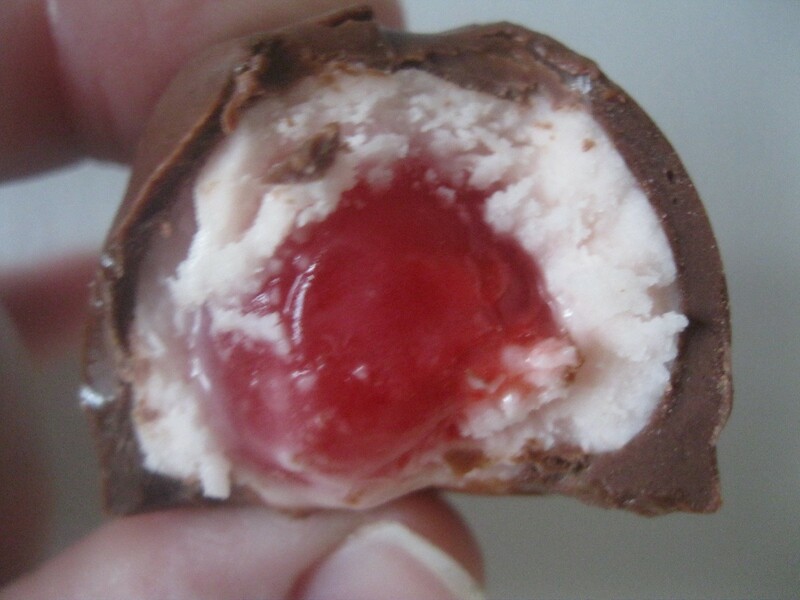 This is a super easy way to make chocolate covered cherries. The kids had so much fun helping me with this recipe. I've tried a few recipes and this one is a keeper! 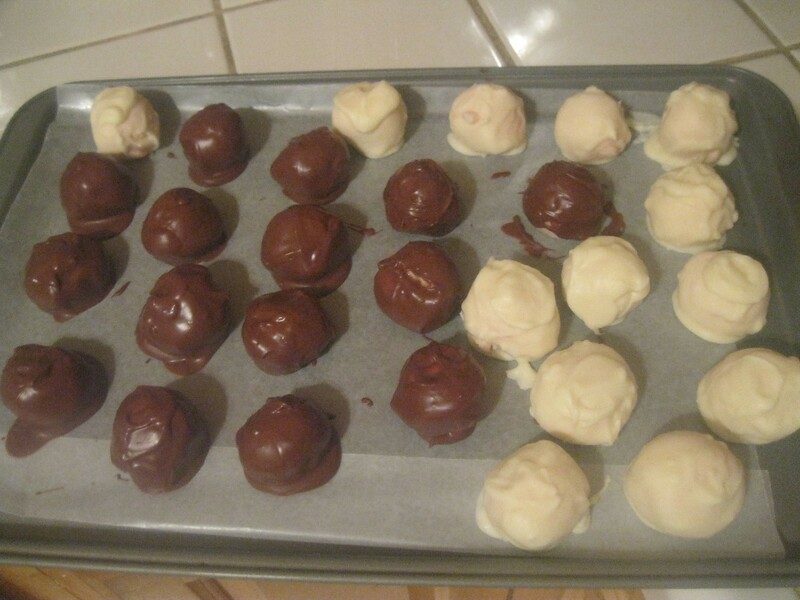 I did milk chocolate and another batch of white chocolate because my husband doesn't like chocolate. Gasp! Total Time: 15 minutes to make, 30 minutes to chill. Combine melted butter and condensed milk. 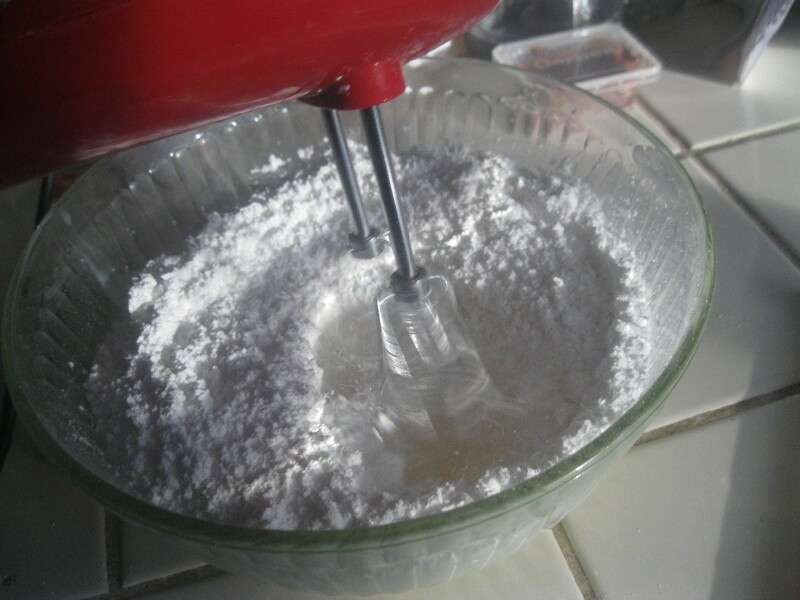 Beat in powdered sugar. The fondant will be pretty thick. You want it to be thick and holding together. If it is too dry, add some cherry juice. If it's too wet, add some more sugar. Roll the fondant into balls, about 1 inch or so. 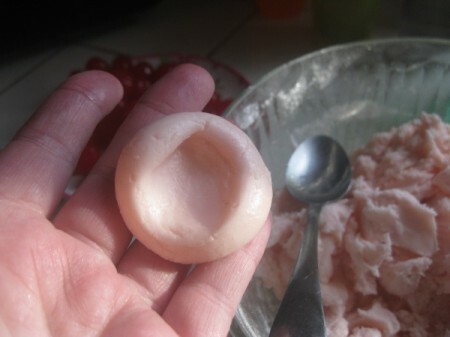 You should get about 40 balls of fondant. Take the fondant ball and use your finger to make an indentation. 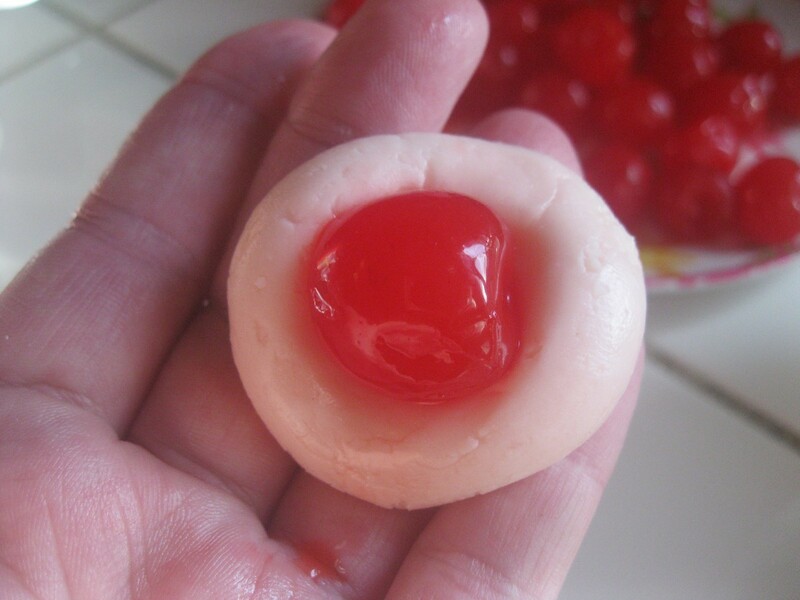 Put 1 cherry into the fondant. Wrap the fondant around the cherry, trying to get the cherry in the center. 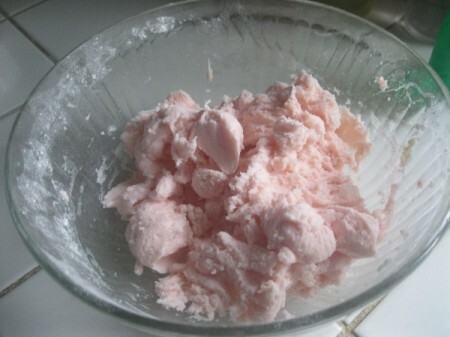 Repeat with remaining balls of fondant. Place on wax paper and refrigerate until firm, about 30 minutes. Melt chocolate chips(about a cup or so) and shortening, or melting chocolate. I start at about 30 seconds in the microwave, stir, then heat another 30 seconds. Or, you could use a double boiler to melt the chocolate. 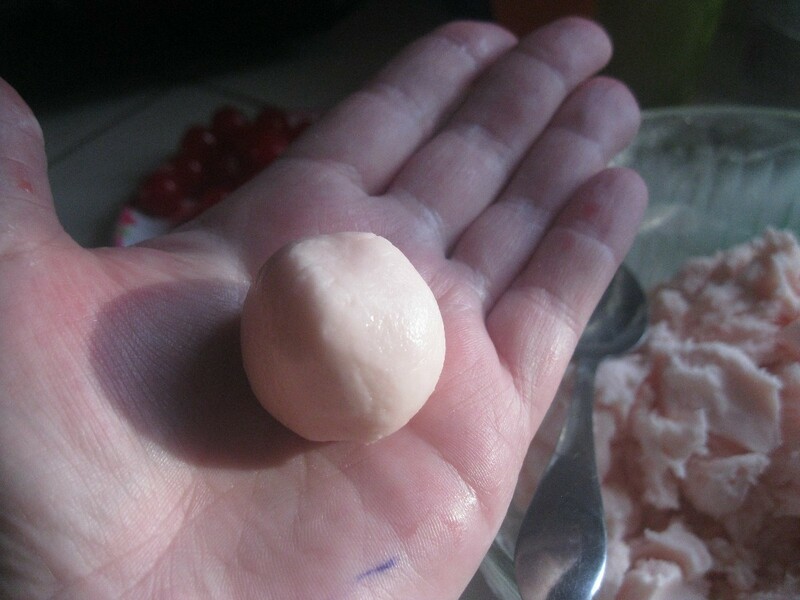 Dip the fondant balls in the chocolate and put back on the wax paper to firm up. If the chocolate is taking a while to harden, you can stick them in the fridge to speed up the process. Holy cow these look good! Definitely on my "to make" list! Chocolate covered cherries are one of my favorite treats. I will be making these.